On March 7, Mongabay’s Rhett A. Butler released a great feature about jaguars (Panthera onca) in Bolivia. More specifically, the article deals with a ranch that is serving as a bastion of conservation. The ranch at the center of Butler’s article is called San Miguelito. Run by Duston Larsen and his partner Anai Holzmann, San Miguelito is showing other ranchers that it is possible to coexist with jaguars. Larsen and Holzmann have invested in ecotourism – allowing guests to pay to visit their ranch and search for wildlife – which diversifies their income. 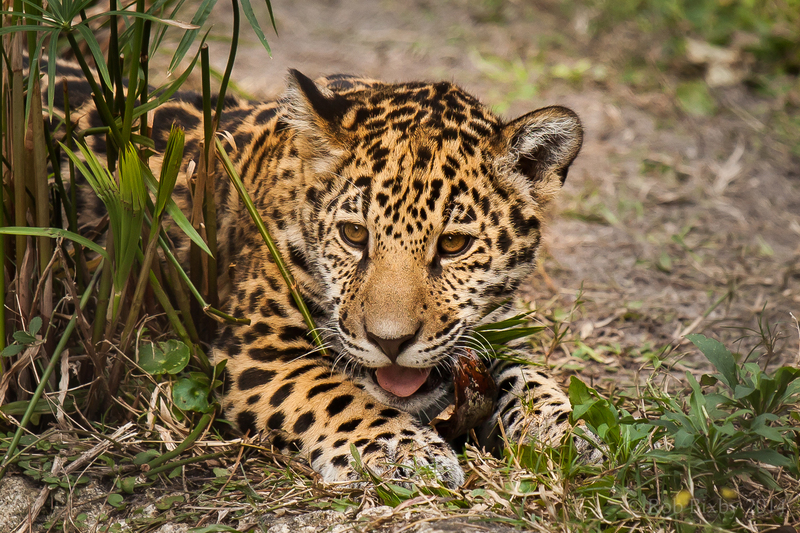 As such, Larsen and Holzmann are better able to absorb the financial losses that occur when jaguars harm their cattle. San Miguelito also experiences far less jaguar predation than it once did.